At Dewdrops Early Learning we believe children, families and educators thrive through connection with others and by being part of a community. When we feel connected, safe and secure, and have a strong sense of belonging, we can flourish in our learning and growth. We embed the ideas of Connection, Community and Learning into everything we do. Connection: Experiencing connection is fundamental to our existence as human beings. From a very young age, we seek connection through family, community, culture and place. Connection is central to community and learning as it allows us to be our authentic selves, to be present and to be engaged. Drawing on the early years learning framework, we recognise the importance of the here and now, of being, of building and maintaining relationships with others, and participating in life’s joys and challenges (Belonging, Being, Becoming, The EYLF for Australia). Community: As we become connected, we share common goals, dreams and experiences. We develop stronger self-identities and a sense of belonging to our families and communities. This is what makes us whole; the ability to rely on ourselves and others, to trust and to respect, to contribute and to be impactful in our own lives and those of others. 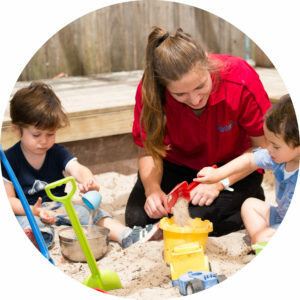 Drawing on the early years learning framework, we recognise children’s belonging; first to a family, to a cultural group, to a neighbourhood and a wider community including that of the early childhood setting (Belonging, Being, Becoming, The EYLF for Australia).